Do you need reliable, high speed wireless for your office, medical practice, store or event venue? 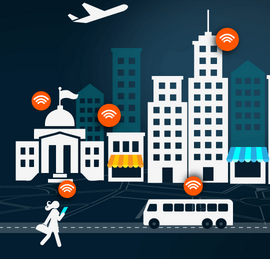 We specialize in high performance wireless networks for commercial application. Visionary IT has the wireless networking expertise to artfully design, secure & maintain your wireless network no matter the size or complexity of your facility. Why Visionary IT for your Network? Deploying a proper wireless network right the first time is crucial to saving money long term on IT support costs. A cheap wireless network that isn't always reliable can cost thousands of dollars more than a proper network over the course of just 2 years. We will meet with you and help you determine the best wireless solution to enable your business goals. With hundreds of successful deployments for healthcare, restaurants, professional offices, municipal and more, you can be confident in our ability to build a reliable wireless network on time and on budget. Schedule a FREE Wireless Network Consultation!